Alignex has an experienced in-house dedicated PDM implementation team complete with MS SQL Server administration and .Net programming capabilities. We've helped hundreds of organizations improve the management of their design files and supporting documents they produce each day. Alignex has been implementing and supporting engineering data management solutions for over 20 years so we have the experience and expertise you need for your PDM project. We've worked with several PDM systems and hundreds of organizations over the years so our perspective in advising you is your best asset. We offer engineering data management best practices in addition to functional expertise on the technologies we represent. Once you have your engineering documents and data under management, we can help you extend the system to include engineering change control and guide you as you consider integrating to ERP, CRM, asset management or other business systems. As your integration requirements mature, we will provide the development services to complete the connection. Alignex does not use any third party implementation partners, everything is supported with internal expertise. Alignex has the only in-house dedicated PDM Implementation Team in our region complete with MS SQL Server Administration and .Net Programming capabilities. 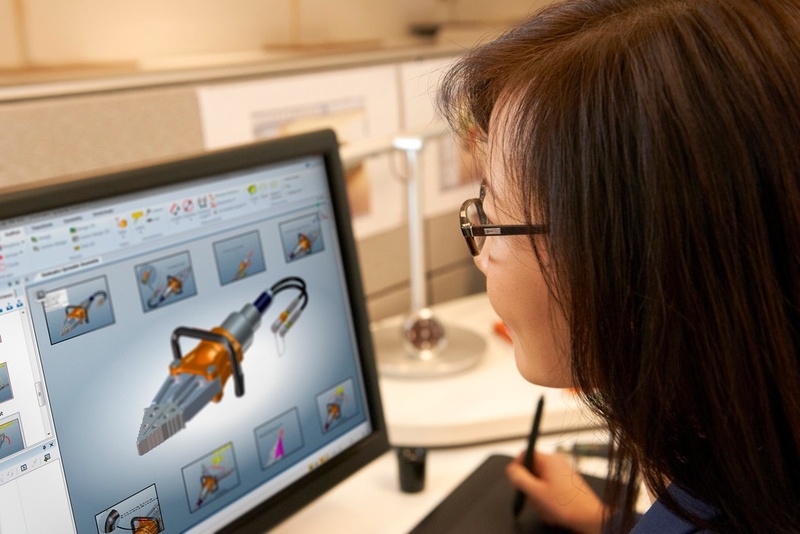 Alignex can help you customize your SOLIDWORKS PDM Professional implementation with advanced or complex functionality not available out-of-the-box. Configuring a highly effective PDM system is great, but how do you get your existing files into the system? At Alignex our PDM and development teams can develop a data loading strategy and provide automation options for both non-PDM (i.e. network drive) and legacy PDM system (e.g. Smarteam) sources. Once the engineering team is working efficiently in the PDM system, the next goal is usually to optimize data exchange with downstream business systems, e.g. ERP. Our PDM to ERP integration methodology focuses on engineering productivity, data integrity, and upgrade flexibility. As we define your business requirements, the architecture of your PDM to ERP integration takes shape and depending on the ERP system's capabilities, the integration is finalized and completed by Alignex's development team.